It was about 90 degrees, sunny, and the smiling faces of Thai women dressed in traditional garb greeted my fellow Annenberg colleagues and I as we made our way through a backyard towards their mango haven. It was a sea of green. Thick lush trees and plants and buckets of ripe mangoes enveloped our surroundings. We walked up to a table covered with orderly plates of mango and sticky rice, traditional Thai dessert, as the hosts beckoned us to not be shy and grab a plate as they were shooing away flies who were also attracted to the irresistible treat. I looked around and felt comforted by the peaceful sense of collectives we all now shared in that moment. This was the afternoon we met with Gulf, one of the leading energy producers of Thailand. Their leaders collaborated with us to figure out ways to strengthen the connection between their powerhouse and the surrounding community. I was fascinated and enthralled at how every single classmate of mine, so eloquently and thoughtfully used their specific lens of study to share how this can be achieved. Ideas such as Gulf sharing their land with the community or sharing and telling stories of the people were presented by my classmates. What I took from this trip, from the fun excursions, to the business meetings, to everything in between, was the importance of togetherness and collaboration. It made me appreciate being in a team where we all lifted each other up, built on ideas, and came to a consensus all for the betterment of the people of Thailand. I realized how teamwork is something I now value and will look for in my career path. Four weeks after Thailand, I had a job interview with a seemingly promising company. Only to find how money hungry and competition driven every colleague was. 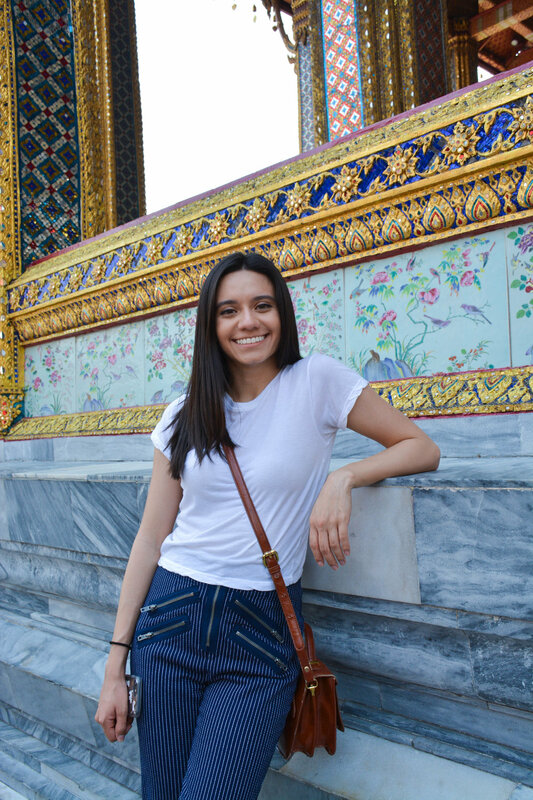 I knew after my experience with Annenberg in Thailand I wanted to work in a place where people, their ideas, their goals, and their presence was valued. The sense of collectiveness was a key component and highlight of this trip for me and humanized what I seek down the path in my career. is a senior at USC Annenberg studying Communication and will be graduating this spring. She is interested in the field of Human Resources and has had internships in talent acquisition, which has allowed her to put into practice the interpersonal communication, communication theories, critical thinking, and problem-solving skills that she has learned at Annenberg. She is a lover of film, TV, and music and wants to work in the entertainment industry by way of Human Resources. She is currently an intern at Viacom, a for-profit media company and recently she has become interested in learning about corporate social responsibility and sustainability to ensure these conversations are being had in the workplace and beyond.